Quinta Nova Nossa Senhora do Carmo There are 10 products. 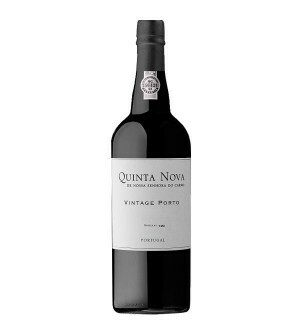 This Quinta Nova Vintage 2009 Port Wine is aged in wood and stainless steel vats for 2 years. This Quinta Nova Vintage 2013 Port Wine is aged in wood and stainless steel vats for 2 years. This Quinta Nova Vintage 2000 Port Wine is aged in wood and stainless steel vats for 2 years. This Quinta Nova Vintage 2008 Port Wine is aged in wood and stainless steel vats for 2 years. This Quinta Nova Vintage 2004 Port Wine is aged in wood and stainless steel vats for 2 years. This Quinta Nova Vintage 2002 Port Wine is aged in wood and stainless steel vats for 2 years. This Quinta Nova Vintage 1997 Port Wine is aged in wood and stainless steel vats for 2 years. This Quinta Nova LBV 2013 Port Wine is aged in wood and stainless steel for 4 years, being produced by traditional method without filtration or stabilization processes. This Quinta Nova Vintage 2015 Port Wine is aged in wood and stainless steel vats for 2 years.